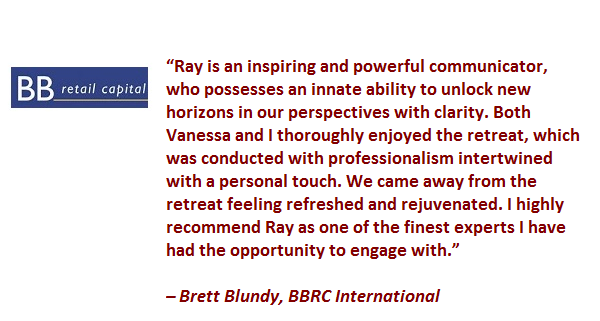 Below are testimonials from clients of Raymond Jefferson who share their experiences and results of his leadership development consulting services and workshops. 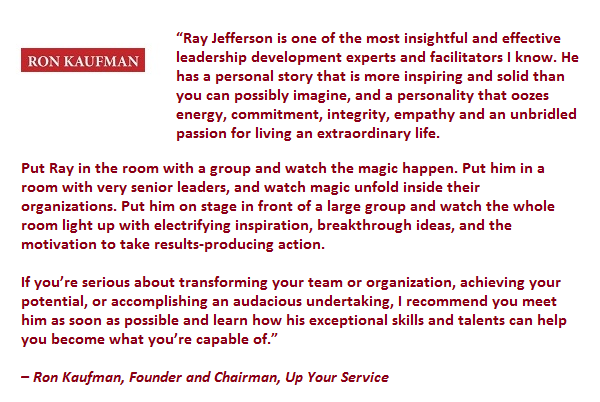 Ray Jefferson is a transformational leader and dynamic speaker. He is a West Point Graduate, former U.S. Army Ranger and Green Beret, Harvard–trained MBA and MPA, and was a White House Fellow as well as a Fulbright Fellow in Singapore. 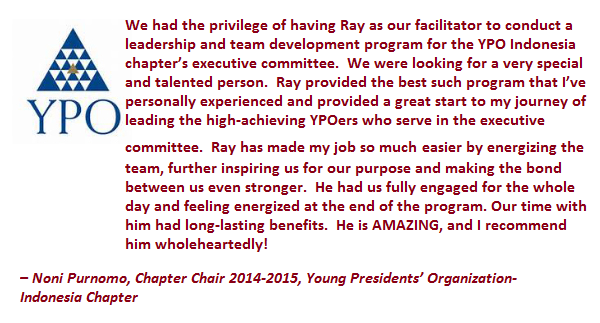 Ray held positions as a Leadership Consultant for McKinsey & Company in Asia; the Deputy Director for the State of Hawaii’s Department of Business, Economic Development and Tourism; and more recently, U.S. Assistant Secretary for Veteran’s Employment and Training under President Barack Obama. He is a proven, tri-sector leader committed to helping and inspiring others as well as developing global leaders and healthy, high-achievement organizations. 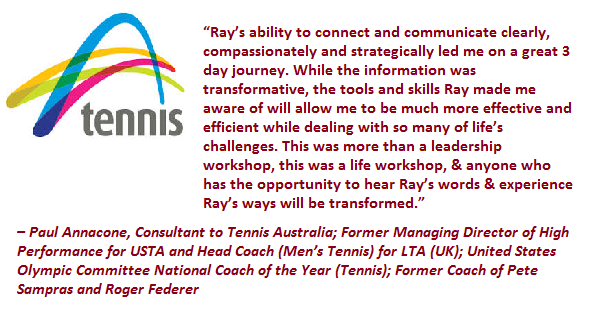 Through his keynotes, Ray inspires people and organizations to achieve their potential, overcome setbacks, and use their gifts to make a difference in the lives of others and the world. 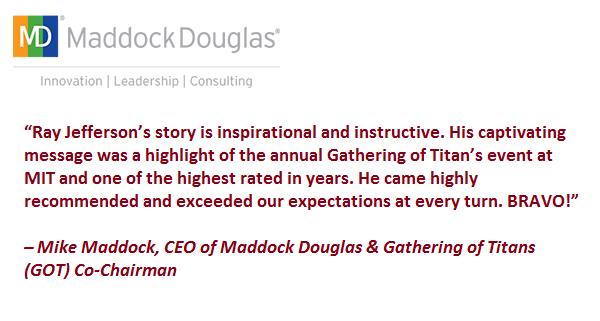 His message helps executives in their journey to become transformational global leaders. Audience members will further develop their leadership capabilities, and become better prepared to manage their organizations, inspire team members to motivate themselves and promote greater collaboration across organizational boundaries. This presentation is for individuals, teams, and organizations that are struggling through tough times or setbacks. This talk is designed to help you overcome adversity. Ray shares his personal journey of peaks and valleys, explaining that “pain has a purpose,” and teaching ways to find the strength to get unstuck and move forward until you can achieve your destiny. He shows you how to survive and then thrive through a crisis experience and benefit from post-traumatic growth in order to emerge as a truly great transformational leader, and how to help others to do the same. Has your company failed to reap returns on emerging market opportunities or suffered from low growth in developing markets because of insufficient quality leaders to manage global operations? You are not alone. Global Leadership is the ability to envision, mobilize others, and execute across cultures and geographies to achieve desired results. Many global organizations have found themselves underperforming in emerging markets or have problems identifying leadership talent, which has resulted in an inability to respond to market changes, and low return on investment in emerging markets. Ray Jefferson talks about what constitutes a global leader, best practices for how to find and develop them, and how to maintain their engagement for the long-term. Sooner or later, a company will need to transform itself in response to market shifts, competition, groundbreaking technologies, and disruptive start-ups to remain competitive in the marketplace. How executives lead their companies in an increasingly volatile world will determine if they survive or, like the dinosaurs, become extinct. When organizations need to embark on revolutionary change instead of evolutionary change, transformational leadership is required. This is not the kind of leadership that maintains the status quo. This requires a dynamic form of leadership – combining a systematic approach with an inspiring vision to change the culture, mobilizing team members’ hearts, minds, and talents towards unleashing and achieving their personal potential and the potential of their organization. Ray provides insights into what is required to help motivate direct reports, promote collaboration across organizational boundaries, develop emerging leaders and embrace change through a participative approach. Leadership is a rewarding endeavor. At the same time, the stress of continually dealing with issues and challenges combined with the long days, extended travel, and over-exertion – exacerbated when having to deal with dysfunctional relationships – can make even the most experienced leader susceptible to burnout. Ray unveils the signs of leadership burnout, explains preventative measures you can take, and teaches ways to revitalize and rejuvenate. He inspires leaders to heal and regain control of their lives – especially when they are close to, or beyond, the edge. Are you striving to accomplish an audacious undertaking, effect a revolutionary change in your organization, reverse a trend, create a new entity or make a fundamental shift in your culture? To do something you haven’t done before? 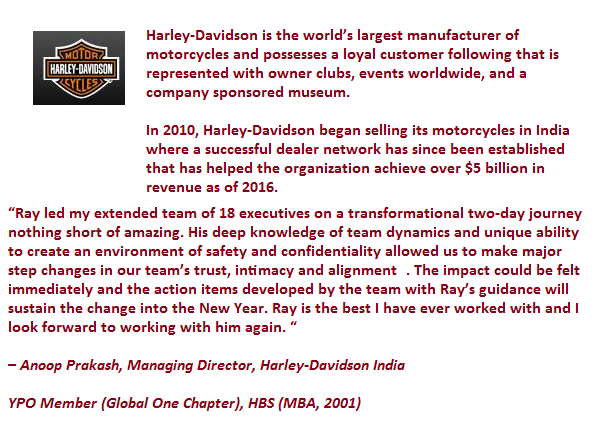 Ray and his team will help you succeed.